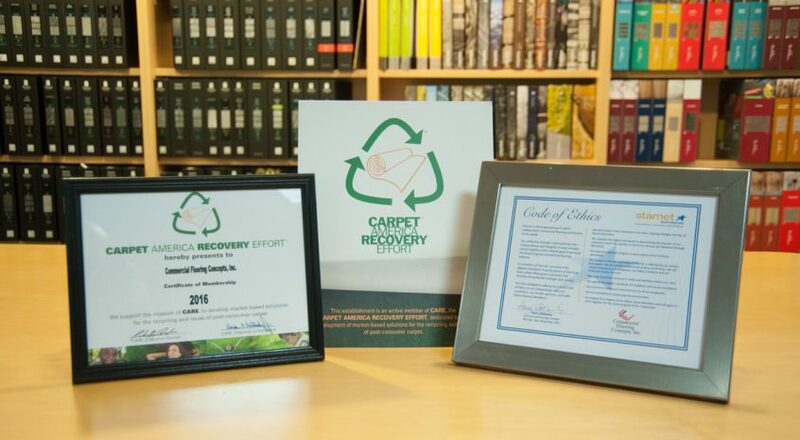 Carpet America Recovery Effort (CARE) is a joint industry-government effort to increase the amount of recycling and reuse of post-consumer carpet and reduce the amount of waste carpet going to landfills. CARE’s Dealer Membership Program is designed for residential and commercial carpet dealers across the US. Through our CARE membership, we support the CARE mission to increase carpet recycling, and develop products made from post consumer carpet.